This is a core-focused workout using Tabata timing. Complete this once through for a short and effective workout (4 minutes) or 3 times with a 45-second rest in between sets. Be sure to keep a nice straight back during planks with your shoulders slightly over your thumbs, your focus is down. Engage your core and keep your hips from dipping down. Warm up and cool down are not shown in the below set so make sure you warm up for at least 2-5 minutes with good dynamic stretches, slowly getting your heart rate up. To cool down start with basic slow walking to bring your heart rate down and end with some good total body stretches. This workout was created by Skimble Trainer: Lisa Mcnett. She is currently accepting new clients for Online Personal Training, so head on over to her profile in Workout Trainer and tap ‘Start 1:1 Training’ to get help from a dedicated expert. Crush your 2017 fitness resolutions with personalized 1:1 coaching from anywhere! Online Personal Training in Workout Trainer helps you reach your goals, with the flexibility and affordability you need. Whether you’re looking to lose weight, build muscle, improve flexibility or train for a competition, our expert coaches are here to help you every step of the way. Get started by browsing the Trainer directory to find an expert that fits your needs. 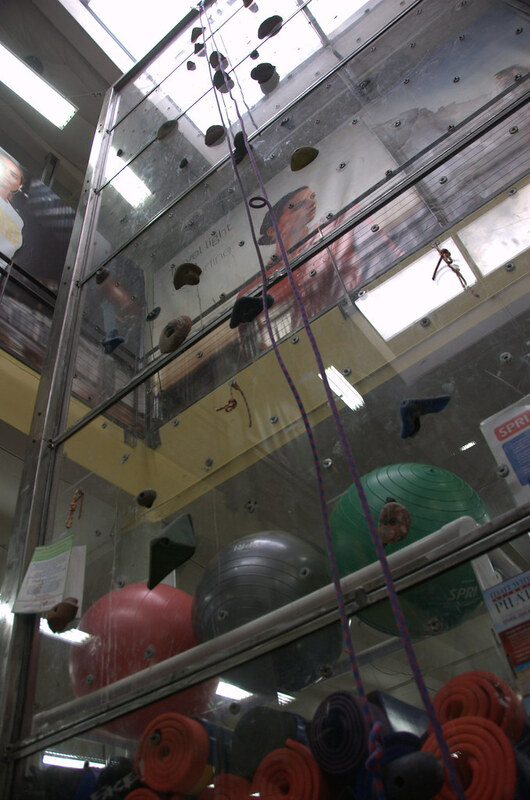 Hundreds of certified fitness professionals provide a wide range of training specialties to help you reach your goals. Once you’ve found your perfect match, simply tap ‘Start 1:1 Online Training’ to sign up. Your chosen Online Trainer will work with you to develop a personalized schedule that fits into your weekly routine. Virtual fitness assessments and progress tracking help you adapt your training as you advance towards your fitness goals. You’ll also be held accountable for your weekly workouts with assignments, tips, and motivation along the way. See and feel the results in no time! Your Online Trainer will take out the guesswork by providing move-by-move workouts you can do anywhere. Simply follow along to expert audio, photo and video guidance to work out wherever, whenever you choose. Want to get serious about your fitness but don’t want to empty your wallet? Get started with Online Personal Training in Workout Trainer for Android and iOS for as little as $25 a week. 1:1 Training in Workout Trainer enables fitness professionals to coach their clients near and far. Whether you’re looking for an easy way to train existing clients with remote workout assignments, or grow your business by training new online clients in your downtime. We have just the solution for you! Skimble’s new Online Personal Training marketplace allows trainers to earn extra income and maximize their time with flexibility. 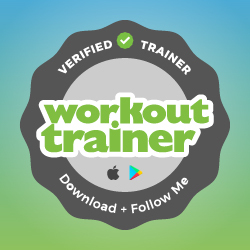 Learn more about the tools available to you as a Verified Trainer in Workout Trainer, and how you can keep your clients motivated to reach their fitness goals every step of the way. Once you’ve set up 1:1 Training with your clients, you’ll be able to find them in the ‘Clients’ tab in the left side menu. Tapping through on a client’s name will take you to the 1:1 messaging stream, where you can easily share a variety of training content with your clients. You can send text-based messages of your own or use any of the message templates provided in-app. To use one of these message templates, simply tap the ‘+’ icon to the left of the text field. The same ‘+’ icon to the left of the text field will allow you to send custom multimedia exercises, workouts and workout collections to your clients. Select what kind of training content you want to share and follow the guidelines on the screen. By tapping the ‘+’ icon to the left of the text field you’ll also be able to send and receive photos in the messaging stream. This is a great way for clients to share their progress pics in private, or even for you to give specific feedback that may require a visual to help the client understand your instructions better. From the messaging stream, you can view individual client fitness assessments and overall progress tracking. Simply tap the ‘stats’ icon at the top right under the settings cog to reach the ‘Client Details’ page. Here you can find the client’s fitness assessment information, along with a quick snapshot of their progress so far. By tapping ‘Workout History’ you’ll be able to see exactly which workouts they have completed, and by going into ‘Stats’ you’ll be taken to a more detailed view of their weekly progress. Skimble’s Online Personal Training marketplace is equipped to handle all the processing and payment aspects related to remote coaching. Clients can securely book your services directly from your Trainer profile page using their credit card in-app, and other forms of payment such as Apple Pay on our website. Trainers can create easy-to-follow coaching content for their clients and track their progress to make sure clients stay accountable and achieve their goals. Skimble is excited to provide a robust online coaching solution that enables Trainers to expand their reach and make money online. Trainers who are actively using paid 1:1 Training are generally compensated on a monthly basis directly to their US bank accounts. There is no cost to get started and, similar to other general e-learning marketplaces, Skimble offers a competitive service fee when Clients book 1:1 Training through our platform. Learn more about this on our Trainer FAQ page. Are you a certified fitness professional looking to grow your business? Submit your certs today and get verified as a Skimble Trainer. Join the mobile fitness movement and take your coaching to the next level with Online Personal Training in Workout Trainer on Android and iOS. Are you a fitness professional looking to grow your business? Then look no further! Online Personal Training in Workout Trainer provides a simple platform for personal trainers to earn extra income and maximize their time with flexibility. Whether you’re looking to spice up your coaching by training current clients with multimedia workout assignments, or growing your business by taking on new remote clients in your downtime. Get set up for Online Personal Training and start taking on clients for 1:1 Training today. If you’re already a Verified Trainer in Workout Trainer, then simply sign up on our website following these three steps. Not verified yet? NO PROBLEM! As a certified fitness professional, it’s not too late to submit your certs to get verified and start Online Personal Training with clients near and far. Our new Trainer-Client marketplace will be available in-app in the next Workout Trainer update, so get set up now to get the most visibility. This marketplace is rolling out for US-based trainers with a US bank account during our beta period. Once you’ve signed up, make sure you turn ON the ‘Accept New Clients’ toggle option to indicate that you are ready to take on clients for Online Personal Training. Once the ‘Accept New Clients’ option has been turned on, Skimble members will be able to select ‘Start 1:1 Online Training’ at the bottom of your Trainer profile in Workout Trainer to begin training with you. Add the official Verified Trainer badge to your email signature, coaching website, fitness blog, etc. to start sending more traffic to your Trainer profile and growing your business. Ready to take control of your coaching business? Get started with Online Personal Training today and make the most of our Trainer Tools in Workout Trainer for Android and iOS. Any questions or feedback as you get started? Please take a look at our Trainer help page or shoot us an email at trainers@skimble.com, we’re here to help! Since launching our Trainer Tools in Workout Trainer this year, we’ve verified hundreds of fitness professionals and personal trainers with a variety of backgrounds and specialties. 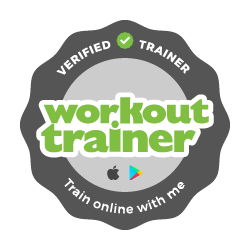 In an effort to enable our Trainers to further build their brand and expand their online coaching business, we’ve created a Verified Trainer badge. This badge can be used to link fans and potential clients to your Workout Trainer profile. Simply insert the badge into your email signature, coaching website, fitness blog, or wherever else you see fit. See the Verified Trainer badge used on Silvie Hibdon’s website – a simple way to link new traffic and connect your online presence to your Workout Trainer profile. Are you a certified fitness professional? Submit your certs today and get verified as a Skimble Trainer. 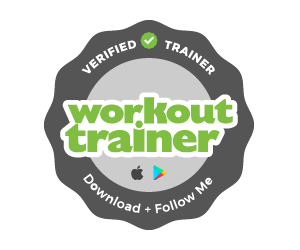 Join the mobile fitness movement and take your coaching to the next level with Workout Trainer on Android and iOS. Already a Verified Trainer and interested in Online Personal Training? Get set up now on our website to earn extra income and maximize your time with flexibility. Fitness Fair: free exercise classes. 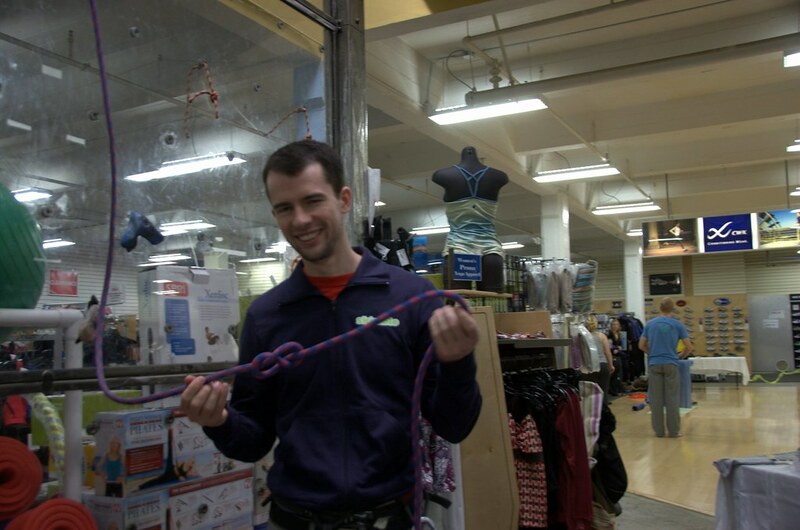 Climb with Skimble at Lombardi Sports. Yoga, dance, Zumba & more for NotForSale & LiftingUpLives. 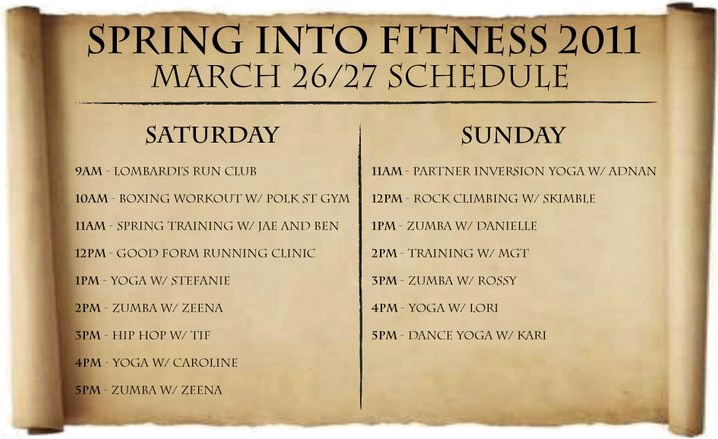 Join us for Fitness Fair this weekend, March 26-27th, and enjoy a ton of free fitness classes! Last fall, we held Fitness Fair to raise awareness for the Cystic Fibrosis Foundation. Back by popular demand, Fitness Fair will help support two great causes, Not for Sale and Lifting Up Lives. The two-day event will be held at Lombardi Sports and will feature an ensemble of trainers and exercise gurus from gyms and fitness centers around the neighborhood. Free classes include Zumba, yoga, free-runs, urban bootcamp, boxing, rock climbing and more! See you this weekend at Lombardi Sports, located at 1600 Jackson St. San Francisco, CA 94109.